Leading off this week’s column: Four girls, 4 days, 0 emissions. TE Connectivity’s post tells about the first ever girls-only world record attempt in an electric car. The folks over at JBC Soldering know about the importance of solder and their post offers advice about choosing the right one for all of your soldering projects. WATCH. That’s the word and acronym that Wearwell presents in their helpful post about how to select new matting or flooring. Dead men may tell no tales, but Agilent Technologies’ post shows mummies do speak when scientists extract DNA from mummified remains. Do you love tools? Do you love music? 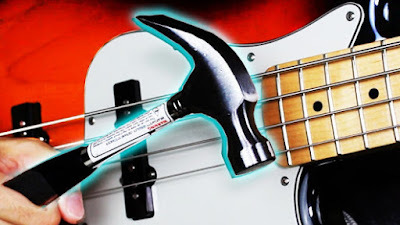 Then this Laughing Squid post about a musician who plays tool songs using actual tools is a must see. 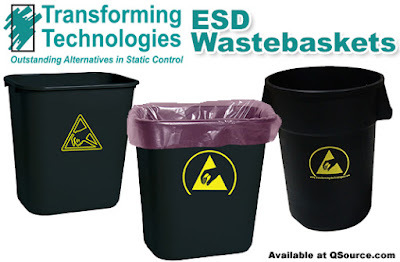 And we close out this week’s column with a Guest Blog post about ESD Wastebaskets.